Leia proved especially meaningful to female fans, who found their own new hope in Ms. Fisher’s portrayal of the lone woman at the center of the action. Few movies showcased heroines who showed more guts and ingenuity than many of the men around her. Girls got a new uniform, too — instead of putting on a tiara and waving a wand, this princess wrapped her hair into a couple of practical buns and held a blaster in her hand. Over the past 40 years, generations of female “Star Wars” fans have made the character their own, using her image and example as a tool in their own lives. In commemoration of Ms. Fisher’s life, we asked readers to share what she and Leia have meant to them, and the lessons from the character that they will carry on. Here are their edited responses. This, of course, ruled out Lara Croft, Tomb Raider. 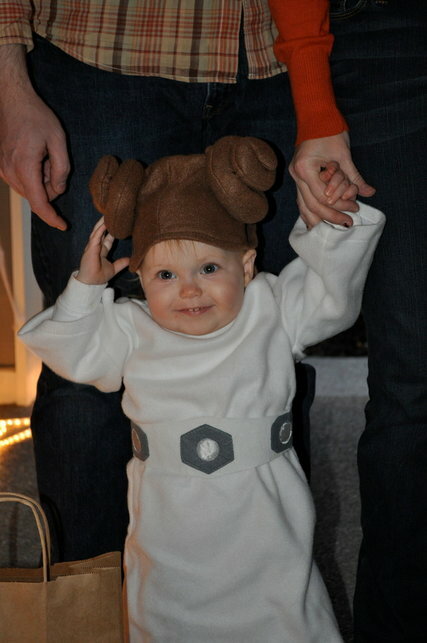 We both knew that Princess Leia was the perfect costume choice for our baby daughter, and it must be said: The Force was strong with her. When my daughter was 5 days old, December 2015, we had these photos taken. 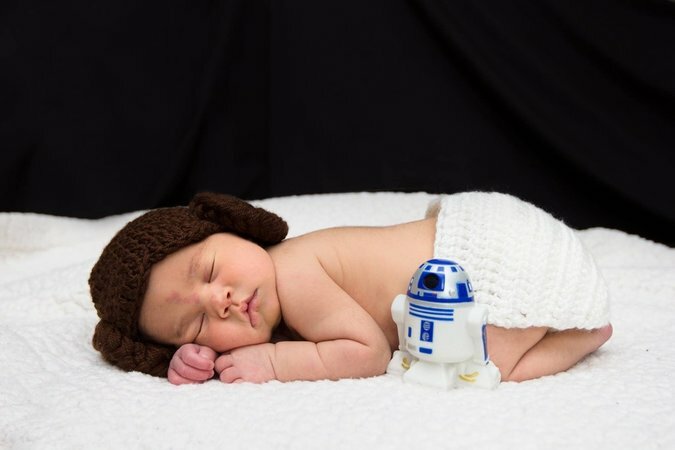 We chose to name our daughter Lillian, but we seriously considered naming her Leia. Leia is an aspirational character, not because she is a princess, but because she was a rebel for positive change, because she proved that she could rescue herself, and because she was kind above all else. We hope that our daughter can grow into those qualities. As a child, I never remember thinking consciously about gender. Whenever my brother and I would play, I always just wanted to be the hero of the story. So, I often pretended to be Spider-Man or Sherlock Holmes or even James Bond. It never occurred to me to be a princess — not until Princess Leia. I couldn’t articulate it at the time, but Leia was our first action-hero princess. She was as spunky, stubborn and exciting as every little girl I knew, including me. 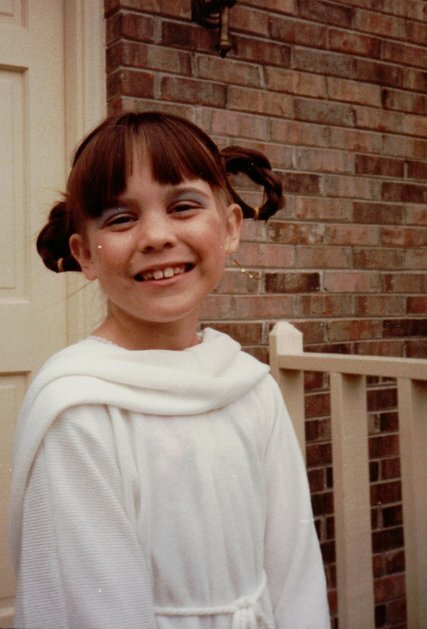 This picture was taken at Halloween sometime between the release of “The Empire Strikes Back” and “Return of the Jedi.” My mother made the costume and helped me with the eye shadow and braids. Leia was the only princess I ever wanted to be. Nia Hays and her son. My 3-year-old son is obsessed with Darth Vader — never having seen the film. But it was the perfect excuse for me then to join in on the Halloween fun and dress up as the ever-awesome Princess Leia. 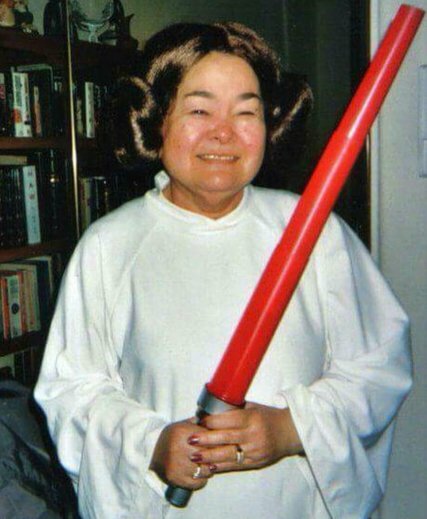 This was my Mom at about 70-years-old dressed as Princess Leia. She had a wonderful sense of humor and played along with our request to dress like her royal highness. R.I.P. Mom and Carrie Fisher. Princess Leia inspired me to be a strong, bold, unapologetic woman who stood up for what was right and spoke up. She taught me to speak my mind and go after my dreams no matter how scary they were. I decided to cosplay her for the premiere of “The Force Awakens,” and every time I do, it’s an instant confidence boost. She taught me to be brave, and it’s an honor to dress up like her. 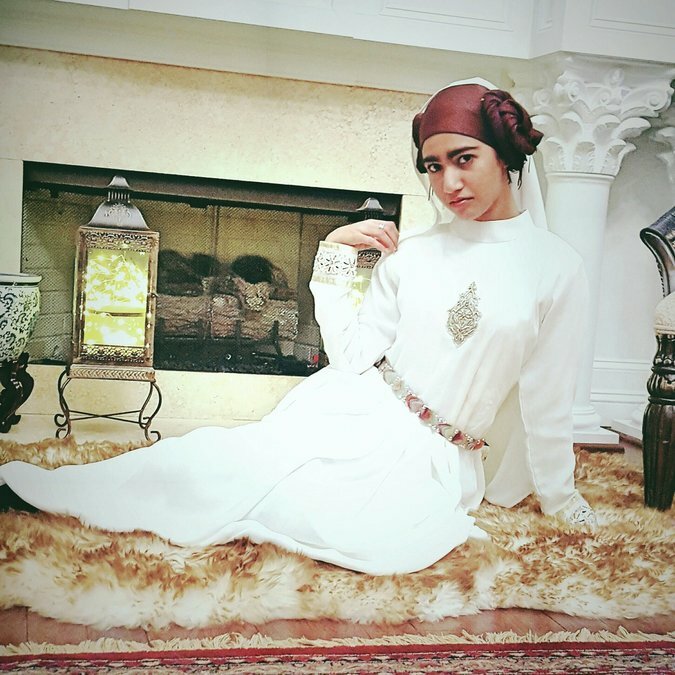 I cosplay as her classic “A New Hope” look because it’s elegant and it was the easiest to incorporate my hijab into. Carrie Fisher is the reason I haven’t given up on writing and she’s the one that led me to stand up for what’s right and not be afraid to fight for it. 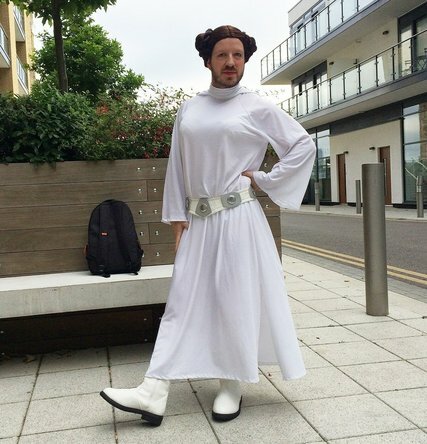 I dressed as a bearded Leia for my first “Star Wars” convention, Celebration Europe, in London in August 2016. Although I hadn’t seen the original films until I was 18, her character resonated with me as one who fought to recognize the rights of the “rebel,” or in my case, an in-the-closet gay man who was struggling to feel accepted. After finding out more about her literary and advocacy work over the years, I had even more respect for her as a person, so she was the logical choice to cosplay as when I decided to attend Celebration Europe earlier this year. Needless to say, the reaction from other fans was incredible. 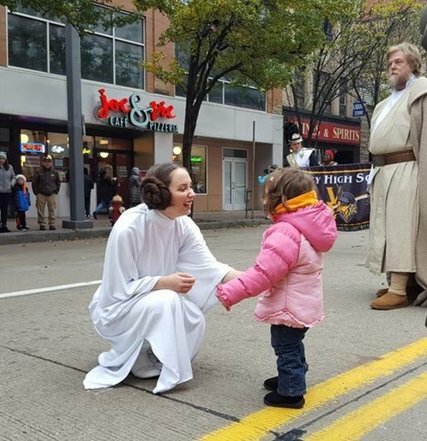 I dress up as classic Leia for children and charity. Growing up, I was made fun of for liking “Star Wars,” so I started to keep it to myself and never talked about it. I was shy and felt out of place. After realizing that no one’s opinion but mine mattered, I wanted to make sure young girls never experienced what I did and always felt that they belonged somewhere. 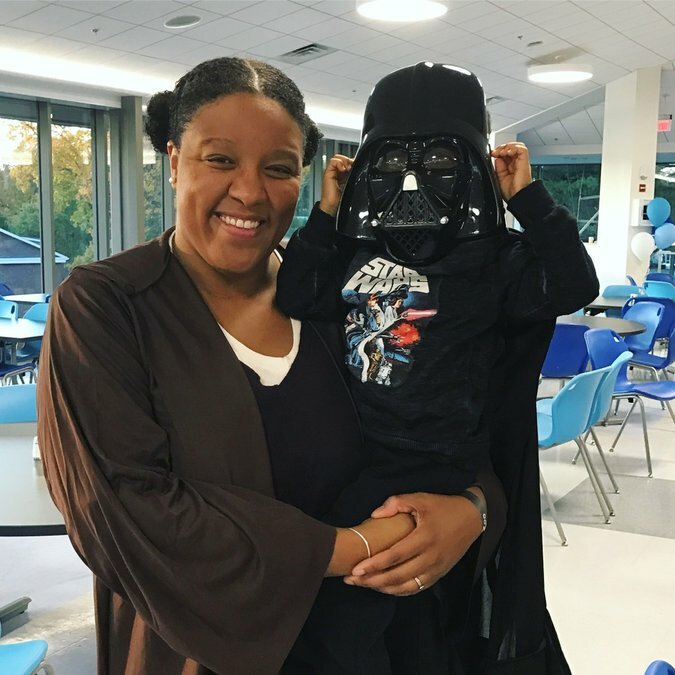 I go to children’s hospitals, library’s, Down syndrome walks and so much more dressed as Princess Leia. The excitement and joy in young girls’ eyes shows me that what I’m doing does make a difference. They see a girl loves “Star Wars” as much as they do and it’s O.K. Doing this has given me so much confidence and I never want to do anything else. Even with Carrie gone, what she has inspired will live on and I hope to be part of making that happen. The picture here is a still from a production called “In Your Arms,” which was done at the New York Stage and Film at Vassar in 2014 and again in the summer of 2015 at the Old Globe theater in San Diego. The show is 10 pieces written for dance and I am playing Carrie in her piece that she wrote for the show. Everyone loved her piece. And although she never got to see it, I’d hoped she would have been proud of the gorgeous ballet that we created for her play, as I sat stage right as her typing out the piece, then ultimately joining the two lovers at the end. 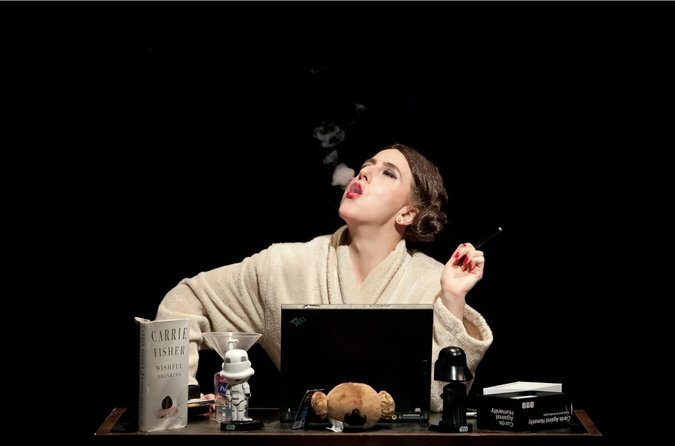 Carrie Fisher’s piece was a fun, complex play about the dizzying conundrum between love and freedom of adventure. My god I’m going to miss her. 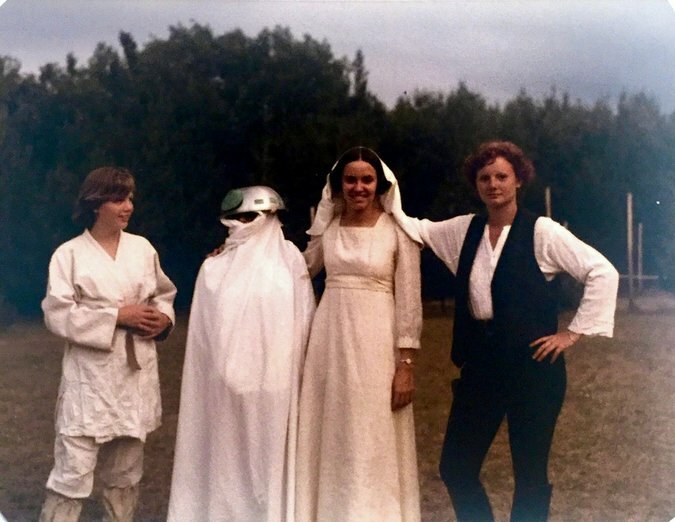 Summer camp counselors dressed up as “Star Wars” characters in 1980. When I was in high school, I was obsessed with the first “Star Wars” movie. With all of them, really, but the first one particularly blew all the circuits in my imagination, and I particularly gravitated toward Princess Leia. She was tough, she was a leader, she didn’t let any man push her around. Instead of being sweet and docile, she was snappish and didn’t apologize for it. I was so fascinated by her that I began seeking out other examples of the trope of the woman warrior. I later went on to become a fantasy writer who told stories about brave, strong women bucking their world’s trends. I also eventually earned a black belt in karate. I’m from New Orleans, and for several years, I have marched with the Leijorettes. 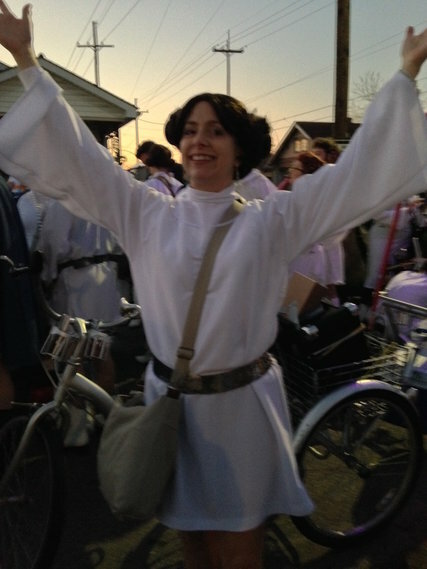 The Leijorettes are a Mardi Gras marching krewe honoring Princess Leia Organa of Alderaan. We wear the traditional Leia costume from “A New Hope,” hemmed to make it more conducive to dancing and marching with white majorette boots.